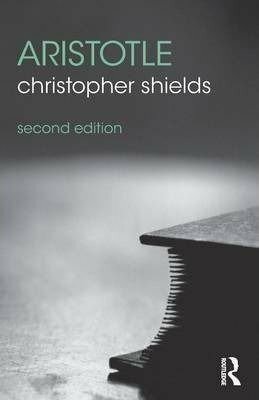 Christopher Shields is George N. Shuster Professor of Philosophy at the University of Notre Dame. He is an Honorary Research Fellow of Lady Margaret Hall, University of Oxford, where, before moving to Notre Dame, he was Professor of Classical Philosophy and Chair of the Philosophy Faculty Board. Previously he has taught at the University of Colorado at Boulder. He has held the Tang Chun-I Visiting Professorship at the Chinese University of Hong Kong, the Collins Visiting Professor at the University of St. Louis, and a Senior Fellowship at TOPOI, the Humboldt University of Berlin. He has held visiting professorships at Cornell University, Stanford University, Yale University, and The University of Arizona. Here he discusses Aristotle, his four-causal account of explanation, teleology, the tools and methods Aristotle thinks we need to be a philosopher, his naturalism, Aristotle’s obsession with homonymy, the relationship between soul and body , his relationship to psychology, hylomorphism, and understanding life as a core-dependent homonym. 3:16: What made you become a philosopher? 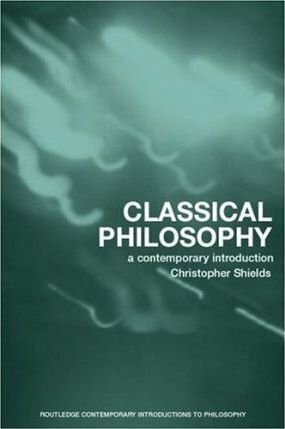 Christopher Shields: For me becoming a philosopher was somehow the course of least resistance. Judged from the perspective of someone who was in due course to become a professor in the field, I began rather inauspiciously, studying a different discipline at a university to which I didn’t apply, except in the sense that I signed an application form filled out and mailed on my behalf by my mother. She worked as a clerk at the Social Security Administration and, appreciating what lay before me if I did not pursue a university degree, saw to it that I did not follow my own directionless inclinations into disaffection. Some of my high school chums were not so lucky. One, highly intelligent, gifted, and alienated in a bemused-by-existence sort of way, died recently after what seems to have been a mainly indolent if jolly sort of life, delivering pizzas, catering occasionally, and smoking weed. I am, you will understand, forever unspeakably grateful to mother. The university she selected for me was Bowling Green State University, in northwest Ohio. There I studied English Literature and Classics, though Classics did not have its own department, being instead a subdivision of a general foreign language faculty. Allied with the group interested in ancient languages there was a philosopher, an extraordinarily gifted classical philosopher, who had just arrived fresh from a post-doc at Harvard—arriving, then, from a world that I would later come to know but which was at that time more or less unfathomable to me. Under his guidance, I began to read fourth century Greek prose, having wanted to learn Ancient Greek for the purpose of reading tragedy and lyric poetry. As a general rule, of course, one learns prose before poetry, and so I did. In my sequence, as luck would have it, the prose was provided by the—stylistically speaking—unsurpassable Plato. Still, I took only three courses in philosophy as an undergraduate, namely Ancient Philosophy, Formal Logic, and Aesthetics, all of which I loved. I did not, however, love them more than I loved my courses in literature. Excited by reading great novels and epic poems when I arrived at university, I thought of myself as applying, with the encouragement of my professors, to graduate school in English Literature. Maybe, I thought, I could study Milton. I do, however, recall one episode which should have provided an early clue that I was likely headed in different direction altogether. 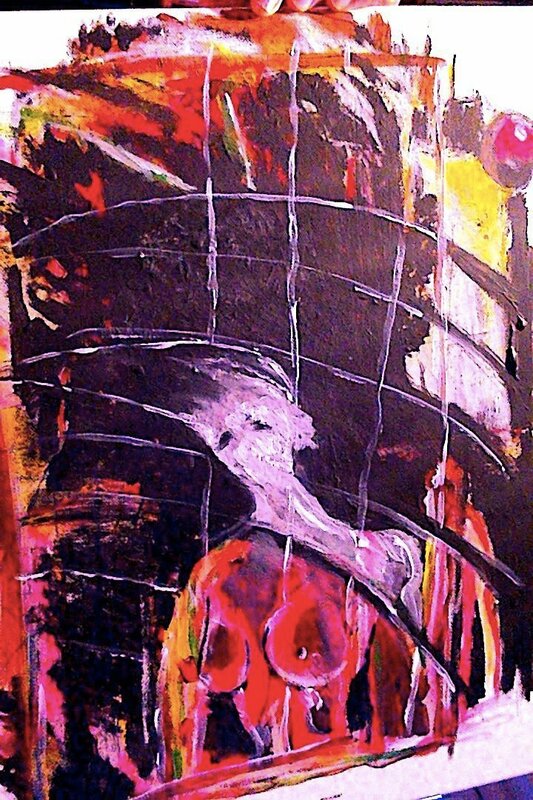 (Even then, evidently, I was resolutely opaque to myself—I wonder how much more so I must be now that I have spent decades perfecting the art of deflecting my inner gaze. Alas, though, how would I know?) My current recollection: one morning in an upper division course on American poetry I found myself arguing, I now imagine with undue vehemence, that a certain verse of Emily Dickinson’s featured a metrical stress pattern that undermined rather than undergirded its semantic content. I was quite convinced by my observation and wanted others to appreciate it as well. At some point in the exchange, another undergraduate leaned over to me and said, as a sort of side bar in a fierce if friendly whisper, ‘Why do you have to argue about everything? It’s just a poem.’ I was flummoxed and didn’t know how to respond to her; I fell silent, feeling sheepish and somehow ashamed. Later that day, in my aesthetics class, I found myself arguing again with equal vigour, this time that beauty must be an objective feature of external objects rather than something we bring to the table. It struck me an odd and unsustainable thing to say, as one of my peers had just asserted with the brusque confidence of undergraduates the world over, that ‘beauty is in the eye of the beholder.’ It was, after all, I asserted, not me but Maurice Duruflé who wrote his great Requiem (then as now a favourite of mine for its deft incorporation of Gregorian chant themes). The beauty resides in it, in the music, I insisted, not in me. Amidst the spirited and engaging debate that ensued, I came to appreciate, however dimly, that in a philosophical context my native garrulousness, far from being a source of embarrassment, was received and reinforced as a positive asset. It was then perhaps that I started turning in the direction of philosophy. Since leaving Cornell it has been my pleasure to teach some brilliantly gifted undergraduate philosophers at leading universities in the US, the UK, and Germany. Some of them seem to me simply born to be philosophers. When I meet them, I so admire them, and I realize that I was nothing like them at their age. While this is not in all ways a reassuring sensation, it does serve as a welcome reminder that philosophers develop in different ways and at different times, coming as we do from different backgrounds and with varying abilities; I thus try to bear in mind that those of us in the business of educating the next generation should remain alert to these facets of youth and encourage students not to despair when difficulties descend. After all, doing philosophy is hard: it can be disorientating, causing one to lose one’s intellectual equilibrium; it can be humiliating, leaving one feeling raw and exposed; and as it is practiced in leading universities, it can be annoyingly eristic, making one wonder what endgame is in view for the permanently puerile elite for whom it is but self-aggrandizing sport. In my case, at least, such challenges, though at times presenting real impediments, never derailed my desire to go further into the discipline. Philosophy is simply altogether too gripping. Still, it is plain to me that advancing in real terms would not have been possible without the unmerited support and encouragement I received from the teachers I admired. As a result, I now find myself in the unfathomably fortunate position of being paid to do the thing I love. One may yet ask my mother’s question: how is this possible? For me it was made possible hard work, yes, but also by a fair helping of dumb luck: I try not to lose sight of the fact that my career from beginning to end owes much to an improbably clement gust of wind. So, I suppose, that, if anything, is what made me become a philosopher. Such, at any rate, is the story I tell myself. 3:16: You argue that there are two framework issues that we need to be clear about if we’re to grasp what Aristotle is up to. One is what you call ‘his four-causal account of explanatory adequacy’ and the other ‘his conception of the tools and methods required for successful philosophising’. Before you unpack these for us, can you give us examples of approaches to him that don’t understand these two issues and therefore misread him badly? So can you take us through his four-causal account of explanation? CS: This is easy to do in a text-book fashion, but grows wildly complex in its articulation and its various applications. Let us, though, begin at the beginning. Aristotle opens his great Metaphysics with the observation that ‘all humans by nature desire to know.’ Although easy sounding, this claim is in fact complex and contentious: it implicates Aristotle in a series of controversial claims, including not least that human beings have a nature, which nature he will later identify as their essence, with a concomitant commitment, then, to essentialism about species. What is more, Aristotle here implies that the essences human beings have of a highly distinctive character: to be is human to seek to know. Without soft pedalling this claim, one can agree that in at least one sense Aristotle is plainly right: human beings have a deep-seated proclivity to seek explanations. This proclivity manifests itself in a wide variety of ways: in natural science, obviously, but equally in mathematics, in philosophy, in the social sciences, in literature, in drama, in engineering, in law, in history—indeed, in almost all the faculties represented in universities the world over. Some people want to know what colour dinosaurs were; others want to know why German industrial production fell in 1932 to 53% of its 1929 level; and still others want to know whether every even number is the sum of two primes. Why? Aristotle looked to the explainers who preceded him and found them in some ways deeply at odds with one another. So, he asked a different sort of question, a question about explanation itself: when is an explanation adequate? One might ask, for instance, as we ourselves ask, what the basic building blocks of the natural world might be. In the face of this question, an immediately reflexive question commends itself as well, as to whether the natural world has basic building blocks at all, whether the world is made of ‘blocks’ or or rather of some basic primordial stuff, or stuffs, or whether, indeed, these metaphors are already so crude as to be misleading or otherwise betray false presuppositions about first principles, to the effect that there must be something basic after all. Aristotle studied what his forebears had said about such matters and he found an array of answers: the basic stuff is water; it is air; it is an undifferentiated stuff, the apeiron, what is unbounded or unlimited; the universe is fundamentally mathematical in character, its basic principles being numbers and geometric patters; the universe is, alas, in principle unknowable to creatures like us. Does any of these explanations satisfy? When does—when should—an explanation satisfy? Aristotle’s doctrine of the four causes is the first attempt in western philosophy to offer an answer to these questions; it advances an overt account of explanatory adequacy, setting when we should be satisfied by a putative explanation and when not. Aristotle’s answer in brief: we should be satisfied when only when explanations offer a full and complete causal account of the phainomena to be explained. When, then, is an account casually complete? Aristotle contends over and again that many of his predecessors fell down not because they were wrong in saying what they said but because their answers were, at best, incomplete. He thinks that the world exhibits order not imposed by us, but also that the order, or structure is the order or structure of something. He further takes it as a deep phainomenon that there is change; he is therefore, like Plato before him, exercised by a surprisingly potent argument from Parmenides that the change cannot occur, with the result that we merely seem to experience change but do not. In response to this argument, Aristotle counters that we can identify a necessary condition of there being change, namely that there be something which sustains the change, something which persists (else there would be nothing which has changed) and some feature gained or lost by this persisting something (else there would be nothing in respect of which what has changed has changed). His basic sentiment about the source of a problem here is echoed in the twentieth century by those philosophers who note somewhat wryly that if something changes, then it doesn’t remain the same, but unless something remains the same, nothing has changed. Aristotle’s basic response to the problem of change is hylomorphism: the doctrine of matter and form, two of his four causes. A necessary condition of there being change is the existence of matter and form; there is change; so, there are matter and form. Parmenides and many others, including (though this is disputed by at least one leading philosophical scholar, Jan Westerhoff) Nagarjuna, thought rational argument could show the second premiss of this argument false: there simply is not change. Aristotle countered that, as a deeply entrenched phainomenon, the second premiss should be given up only under extreme duress. (He notes in the the Physics that if you believe there is change and are compelled by argument to give up you belief, that too would be a change, since a mental change too is a change, in which case you would be back where you started.) The first premiss, that there is no change without matter and form, he thinks follows from the fact that there is no generation ex nihilo, a commitment he shares with Parmenides, with the result that every change is the change of something. 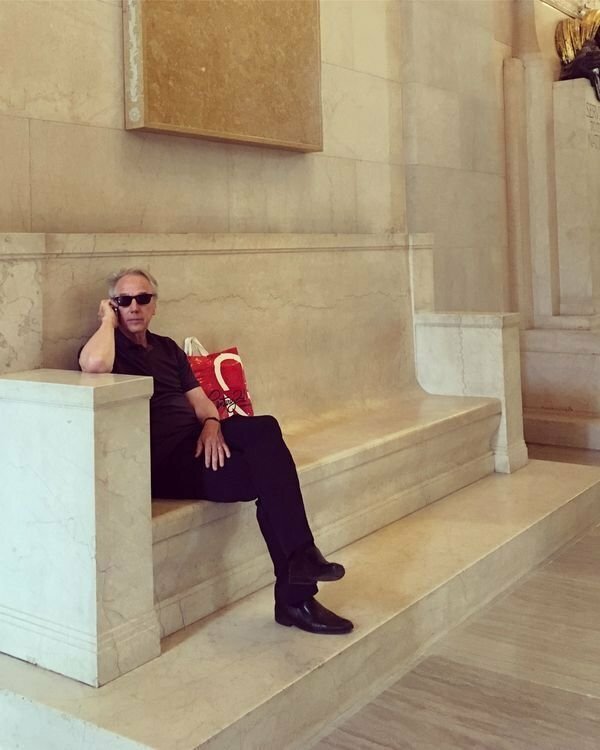 Call that matter. There is no change, however, unless the matter gains or loses some attribute. Call that form. Looked at this way, the notions of matter and form are functionally characterized from the beginning: matter is that from which change comes and persists through a change, whereas form is that feature gained or lost by the change in a process of change. Aristotle immediately overlays this functional characterization with a modal profile such that matter becomes what is in potentiality whereas form is actuality. Illustrated in simple terms favourable to Aristotle’s way of thinking, some clay, the matter, is potentially a statue; it becomes actually a statue when it comes to acquire some actual form, say the form of the great American socialist reformer Eugene V. Debs. A statue is thus a metaphysical complex, a hylomorphic compound of form and matter. We can add that a process of change happens not spontaneously, but because something initiates the change, causing one form in matter to be supplanted by another. If a statue of Eugene V. Debs is a compound of matter and form, that is only because some sculptor put the form into the matter by shaping it in his likeness. The matter, which was potentially Eugene-V.-Debs shaped did not actually become so shaped of its own accord. What initiated the change in shape was the sculptor, the ‘moving cause’ or, as it is more commonly called, the ‘efficient cause’, a tag somewhat misleading to most modern ears, at least before it is explained that this comes out of the Latin Aristotelian tradition, from ex (out of) + facere (to make), as the cause which makes one thing out of another. It is often said, misleadingly in my view, that the efficient cause is of Aristotle’s four causes most like ‘our notion of cause’. One sees the point of this, though I doubt there is any such thing as ‘our notion of cause,’ since I can myself can retail in rapid succession seven different theories of causation in contemporary metaphysics, and I do not doubt that others could offer still others to round out my list. Finally, we come to the contentious cause: final causation. If a child asks his mother, pointing to a statue of Eugene V. Debs in the Smithsonian Museum of Art in Washington, D.C., what he sees, she might respond that it’s a statue, and after she, as it were, mentions its form, matter, and efficient causes, the child might still reasonably persist in asking why such a statue was erected. She would then, one expects, mention its final cause, perhaps by saying that it was to honor Debbs, as the founder of the Socialist Party of America. She would then, according to textbook Aristotle, have mentioned all four causes: material: marble; formal: a Eugene V. Debs shape; efficient: the sculpting of the sculptor Moses Wainer Dykaar; final: to honor Debs as the founder of the American Socialist Party. 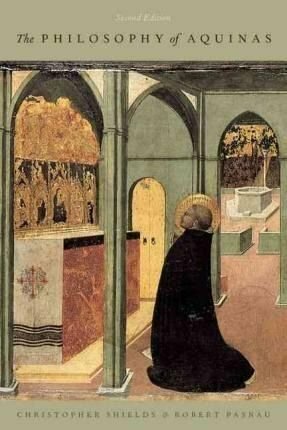 Although one could say much more about the material, about the form, about the process of sculpting, and about this purpose, these would simply be ways of specifying these causes more fully. None would involve the appeal to any fifth kind of cause. This, then, leads to twin claims about the four-causal explanatory schema from Aristotle: (i) a complete four-causal explanation is a sufficient explanation; and (ii) a specification of each of the four causes is necessary for a complete explanation. The second of these gets promptly qualified in various ways, for a variety of reasons, including that some events, including co-incidences do not have have causes (that is why they are co-incidences) and that some entities, like mathematical entities, do not have material causes, because they are abstractions from matter and so merely formal. So much for the textbook Aristotle. In order to take this schema at all seriously, it is necessary to assess how well it fares in actual explanatory contexts. 3:16: Is Aristotle therefore committed to teleology – and what are the problems with this? CS: The first, screaming complaint is that Aristotle’s insistence on the inclusion of final causation yields gibberish, to the point where it shackles scientific progress; and where it doesn’t yield gibberish, it yields triviality of the sort parodied by Molière in the Imaginary Invalid, in which a group of physicians conduct a burlesque ceremony in macaronic Latin, examining a candidate for admission to the degree of Doctor of Medicine. They ask him to explain why opium induces sleep. The candidate responds readily and to the approval of all that opium induces sleep because it contains within it the virtus dormativa. ‘Bene, bene, bene, bene respondere,’ clucks the delighted chorus, before urging the candidate’s admission into their learned society. One can appreciate why Descartes, despite his theism, expressly eschewed teleological explanation in natural science, for a variety of reasons including that the identification of final causes in nature would require knowing the intentions of nature’s maker, which would be presumptuous to the point of hubris. Moreover, contends Descartes, the postulation of final causes in addition to efficient causes is redundant and in any event inappropriate to any part of nature lacking cognition. In view of this last point, one can also appreciate why several centuries later Nagel observed: ‘. . .because of the association of teleological explanations with the doctrine that goals or ends of activity are dynamic agents in their own realization, it [i.e. modern physics] tends to view such explanations as a species of obscurantism’ (1961). Otherwise, teleology finds itself saddled with the objection that it appeals to non-existent entities to explain existing phainomena of the general form that Ponce de León’s travels in Florida are to be explained by the Fountain of Youth, which, alas, was not there or anywhere else. How, then, can it figure into a causal explanation of anything? So, the complaints about final causation run in various directions: they are vacuous; they are otiose; they treat agents as dynamically self-realizing; they import intentional design into purposeless nature; they are obscurantist; they place non-existent entities into roles which they— non-existent as they are—plainly cannot play. Some of these standard objections to teleological explanation are formidable and others fatuous. First, while it is true that one can all too readily stumble upon vapid explanations wrapped in teleological garb, this does little by itself to undermine the form of explanations given in these terms—any more than ‘just-so’ explanations in biology undermine the explanatory power of evolutionary explanations. Some evolutionary explanations are bad explanations, underdetermined by evidence, and circular in their zealousness. We would not therefore wish to call this entire class of explanations into question. On the contrary, we should—and have—looked harder at the question of when an adaptive explanation is a good explanation and when not. This, though, involves us once again in asking the sort of question Aristotle asked with respect to his predecessors: what makes an explanation a good explanation? Now, this is not to say, at all, that evolutionary explanations and teleological explanations are on par. Rather, it is to say that it is lazy to discredit a kind of explanation on the basis of some poor instances of the kind. The more interesting questions about teleological explanation are, roughly, of three kinds. First there is a very general question about the relation between explanation and causation. Just as Hempel’s DN model of explanation has been bedeviled by counterexamples seeming to require appeals to causal priorities, so Salmon’s SR models have run into difficulty in the face of non-causal equilibrium explanations, especially, but not only, in biology. Jointly, these discussions force us to rethink the relation between explanation and causation, and then also to reflect upon which forms of causation, if any, feature in explanation. Some appeals to teleology look natural enough when they are cast as offering ‘becausal’ as opposed to causal answers to why questions. Indeed, in the case of artefacts they seem indispensable and not in the least mysterious. ‘Why is the centre of gravity of this year’s SUV model lower than last year’s? Because the engineers wanted to enhance its stability in slippery terrain.’ Here teleological explanation seems to appear twice over, first in explaining the intentions of the engineers, and then again in explaining the designed functional role a centre of gravity plays in a distributed mass. The engineers changed the specs in order to enhance safety. A center of gravity may be positioned in order to enhance stability. Neither of the explanations is in the least outlandish; on the contrary, each perfectly pedestrian. Still, one might want to maintain that the teleological appeals in these explanations are in one way or another not fundamental; but, again, that is equally true of various forms of economic and sociological explanations among others as well. If the claim turns out to be only that teleological explanations have no role in physics, that opens the door to a wide variety of explanations Aristotle would find congenial. As we have seen, he himself denied that everything which admits of an explanation admits of a teleological explanation. He thinks, though, that when one is needed, an explanation omitting an appeal to purpose is incomplete. Second, when Descartes denied teleology to all parts of nature bereft of cognition, he implicitly allowed it to those natural entities with cognition. When we describe the intentional actions of agents, we find in natural, again almost unavoidable, to fall into a straightforwardly teleological idiom: people do things for reasons, with certain ends in view; they do some things for the sake of other things; sometimes they are successful in achieving their goals, other times they are frustrated; everyone wants to be happy and some will do anything for love; many, advisedly or not, seek honor or material success or fame. Or, as Richard Nixon is reported to have said of a young aspirational George Bush: ‘Oh, him—he’ll do anything for the cause.’ All of this makes it sound on the surface, and even a good deal below the surface, as if we were in the habit of explaining the behaviour of our fellow humans in nakedly teleological terms. Same again, in the same Cartesian spirit, but now markedly contrary to Descartes’s own bewildering attitudes to non-human animals, with the rise of cognitive ethology in the last century. Indeed, the life sciences are rife with such talk. Here we face a sort of hinge where teleology is concerned. We can agree that it has no place in the lower order physical sciences, while reserving it for the life and psychological sciences. Or we can seek to reduce it, eliminate it, or otherwise explain it away from these domains as well. There might be principled reasons for going down the latter path, but these reasons are not always as obvious as their proponents presume. Nor in general has the path to reduction been an open and easy stroll. In my view, those who have given up on reduction in favour of elimination where intentional idioms are concerned have been entirely clear-sighted in one respect: satisfying reductive explanations of intentionality have been rather thin on the ground. There is for me at any rate one interesting question in this area regarding the relation between efficient and final causation in the domain of intentional action. There is in this connection a striking argument in Francisco Suárez, a brilliant but underappreciated Iberian philosopher whose life overlapped with Descartes’. Suárez in effect agreed with Descartes, and in fact held before Descartes, that teleology has purchase only in the domain of the mental. He offers an interesting counterfactual defense of its role in the explanation of reason-driven behavior, however. When S does a in order to φ, then it seems plain that S has a goal in view—a goal which explains her doing a. 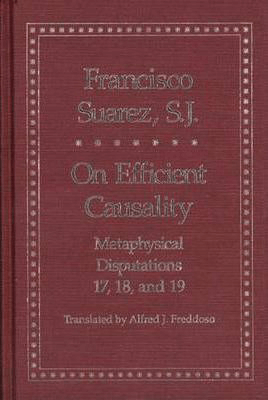 Since the state of affairs φ lies in the future and indeed may or may not in fact materialize, it seems to have no efficient causal role to play in the coming about of a. Suárez agrees, but then adds that the actual efficient causes of a will none the less be individuation-dependent on φ, such that were φ not in view, the efficient cause of a would not have been the efficient cause of a that it is. He means, then, to reintroduce reasons as causes in a way which makes sense of the contributions they make to our actual explanatory practices without losing sight of their normativity. Needless to say, issues about the relations of reasons and causes in intentional action remain with us today, but from the perspective of a Suárez, much of this discussion cloaks, and only barely, reflection on the role of teleology in intentional action, if in a newer idiom. Third, and for now finally, there remains an engaging question about the relation between teleological explanation and functional explanation more generally. Here the story becomes rapidly complex , but the several sophisticated attempts to account for the notion of function in the life sciences seems to have foundered on the normativity of ends in explicating statements of the form ‘S φs in order to ψ.’ Here too we find a form of teleology, scrubbed to be sure of its more insalubrious aspects, reentering the explanatory debate for serious discussion. None of that can be regarded as a rehabilitation and vindication of a teleology for our modern age, of course. It may, however, serve as a corrective to the most strident and self-satisfied assaults on teleology that characterized some of the most arch rejections of Aristotelianism. Questions about explanation run deep. 3:16: And what are the relations among the causes and are these still relevant? CS: To return to Aristotle, then, we find a philosopher utterly, deeply committed to the primacy of teleology in explanation. As we have seen, he does not think, as he is sometimes held to think, that all explanations are teleological in character. He does think, none the less, that in those cases where teleological explanation does have a role to play, its role is foundational. To paraphrase a later Aristotelian, Thomas Aquinas, ‘the final cause is the cause of causes.’ As often, it serves to illustrate the view with an example favourable to Aristotle, without thereby contending that it can be exported or generalized. In the creation of an artefact, the maker has a function in view. The function dictates the form or structure, which delimits the suitable matter. The team of engineers designing an electric car have a view in sight with a self-imposed constraint: mobility by means of electric propulsion. This end will required various formal features—it won’t do at all to create an electric car in the shape of Chagall’s America Windows on display at the Chicago Art Institute. Once its basic aerodynamic shape is settled, then its materials will follow: plainly the materials must suit the function, and may do so well or poorly, and must include, of course, materials conducive to storing and discharging electrical currents and so forth. Here again, stained glass will not do. The final cause is the cause of causes in such cases in so far as it sets parameters and determines the range of functionally suitable implementations of the end in view both formally and materially. Importantly along the way the final cause recognises the plasticity of both form and matter as specified relative to a given end. None of this is mysterious in the case of artifacts. Whether we would want to say the same things about, say, minds, is another matter altogether. Some functionalists do. 3:AM: And what are the tools and methods he thinks we needs to be a philosopher? CS: To this framework of Aristotle’s four-causal explanatory schema one must add two points of method: Aristotle practices the aporetic method, buttressed by the phainomenological method, so written to distinguish it from the much later developed phenomological method (nothing wrong with phenomenology, but it invokes a radically different starting point from Aristotle’s, where phainomena are simply ‘the way things appear’ or ‘what appears to be the case’, with no implicit appeal to subjectivity). The aporetic method reflects the fact that human beings are apt to find certain things puzzling. Two simple thoughts: (i) whenever anyone goes anywhere, the trip takes time; and (ii), before anyone goes anywhere, they must go halfway there. Since (ii) can (must?) be applied infinitely many times to successive halfway points, then by (i), it will take an infinite amount of time. Puzzling. Something must give. This puzzle, a simple version of Zeno’s paradox of motion, is generated in part by the conflicting ways things seem. It seems that before we go anywhere, we must first go halfway there; it also seems, however, that a distance is a continuum, and so endlessly divisible by two. So, two things that seem to be the case can join up to generate something that cannot be the case. That is an aporia, a puzzle or difficulty, which enjoins us to revisit the phainomena. That has been done in the case of Zeno’s paradoxes of motion, many times over in the centuries after he first formulated them and Aristotle attacked them; even now, however, we find that the solutions to the simple versions have begotten ever more complex versions, all of which seems, in a way, little more than a remorseless application and re-application of Aristotle’s phainomenological method. In general, according to the phainomenological method, if something seems to be the case, then that counts as prima facie evidence for its being the case. If it seems to you right now that you are reading words on a screen in front of you, then that counts as evidence that you are in fact reading words on a screen in front of you. Of course, you might be wrong about that; no evidence, or more modestly, almost no evidence, counts as a guarantor of the truth of that for which it serves as evidence. Even so, it remains evidence until such time as it is upended by countervailing evidence, which might be local or more systematic in character. When such contrary evidence arrives, that gives us good reason to regard our original phainomenaas misleading or misdirecting. One might contrast this with the Cartesian method of trying first in philosophy and science to clear the decks of anything that can be doubted at all, no matter how it may seem. Put into practice, Aristotle’s phainomenological method will sometimes generate puzzles and sometimes not. It will lead us to suppose, for instance, that if most people seem to want love in their lives, then most people do in fact want love in their lives; that if it seems that whenever and wherever we encounter a molecule of H2O we encounter a molecule of water, then in fact whenever and wherever we encounter a molecule of H2O we encounter a molecule of water; or that if modus ponens seems a valid argument from, then that is reason to believe that modus ponensis a valid argument form; and so on. If we have reason to believe that most people want love in their lives, then we might well ask ourselves: why is this so? What is it about humans that makes them crave love? Or, heading in a different direction, what, if anything, makes modus ponens valid? Suppose that we conjecture that this is feature φ (where, say, φ is the feature of an argument’s being such that under no interpretation is its conclusion false while its premisses true). Is every argument form with φ equally valid? Do, in fact, all and only valid inference patterns have φ? The phainomenological method in this way ushers in philosophy: ‘Human beings began to do philosophy’, says Aristotle, ‘even as they do now, because of wonder, at first because they wondered about the strange things right in front of them, and later, advancing little by little, because they came to find greater things puzzling’ (Met. i 2, 982b12). Needless to say, the more culturally overladen such phainomena become, the more pernicious they threaten to be. Aristotle seems himself to have failed miserably on this score, deciding, for instance, that women, seeming to him and many of his ilk to be less intelligent than men, were in fact less intelligent than men. At the same time, however, the phainomena should have directed him otherwise: one need only look with open eyes. In a way, then, failed applications of the method may also serve at least in part to vindicate it; the way things appear are not always innocent, but just as they can misdirect, so they can redirect and correct. When judiciously applied, then, the phainomenogical method encourages bold speculation in philosophy, but then also puts the brakes on some of philosophy’s more extravagant and misguided impulses. 3:AM: So once we have understood these two frameworks, how should we approach his metaphysics. Is he a philosophical naturalist – largely guided by the results and methods of science or not – or is that such an anachronistic question that it really doesn’t make sense to ask it in those terms? CS: The point about anachronism strikes me as a delicate matter. I sometimes say—and so am sometimes pilloried for saying—that there is no such thing as anachronism in metaphysics. One can, of course, misinterpret a figure from philosophy’s past, owing especially to a lack of understanding of that figure’s own presuppositions, own conceptions of the problems of moment to him or her, or more locally, and more simply, due a lack of understanding that philosopher’s technical terminology. The implicit caution here, though, holds equally of Aristotle, Suárez, Kant, Pierce, and Quine. So, if one wants to engage such figures in a responsible way, one must equip oneself with the necessary scholarly tools. Even so, a fair part of the present-day Aristotle industry prides itself on determining ‘what Aristotle really meant’ or ‘uncovering the real Aristotle.’ This is all fine as far as it goes, and crucial for those doing the marvellously impressive work at the coal face of textual criticism; but outside of this domain, the tendency safeguard Aristotle from the enquiring masses rather too readily finds expression in the easy dismissal of those less disposed than these self-appointed guardians of the true faith to bandy texts in perpetuity without every wondering whether they express anything of value. Too often such dismissals are little more than the self-shielding pretensions of scholars who are themselves ill-equipped, or who are afraid, to ask a simple question: is what Aristotle says about x true? 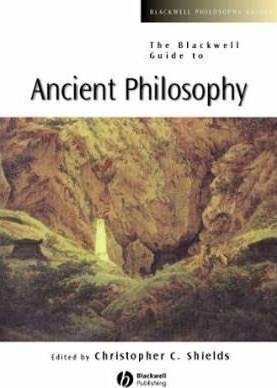 To me this is the final point of engaging philosophy’s past: if we knew up front that there was nothing of value in what Plato or Aristotle or Kant or Hegel wrote, then, as a philosopher there would be little point in reading them. (One might yet like to read Plato for his beautiful prose style—Aristotle, though, not so much!) Others might have more narrowly antiquarian interests, and that, too, is fine. 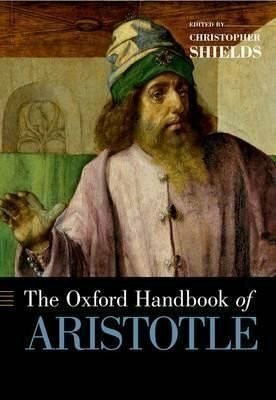 For my money, though, most of the best scholarship on Aristotle flows from those most ready to grapple evaluatively as well as hermeneutically with his difficult canon. In practice, at least in the best sort of practice, the two activities merge symbiotically. That said, and to answer your question more directly, then: Aristotle is a philosophical naturalist, and he is guided by the results and methods of science. It is not an anachronistic question, but rather a perfectly apposite one. As the questioner will know as well as anyone, however, naturalism comes in various flavours and the science (epistêmê) of Aristotle’s day overlaps but little with the science of our own. 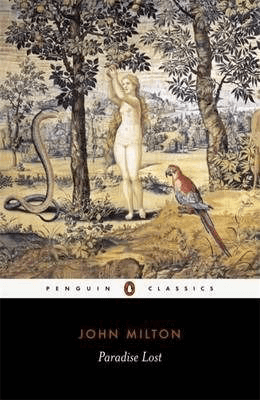 Aristotle’s naturalism, evident in his psychology, ethics, and metaphysics no less than in his physics, or, rather, in his book to which we give the title Physics, takes seriously the ‘nature’ part in ‘naturalism’. He thinks, for example, that humans have a nature, that this nature should be captured and reflected in scientific investigations in psychology and ethics no less than in biology. Those who miss this miss something centrally important about Aristotle’s philosophy. This is why it is entirely appropriate that Irwin’s monumental three volume History of Ethics goes so far as to take ‘Aristotelian Naturalism’ as one of its organizing principles, as a sort of lens through which one can view the history of the entire discipline. Fairly plainly, this ‘naturalism’ is unremittingly teleological; so, if we think that natural science eschews so much as a whiff of the teleological in explanation, then Aristotle is, for better or worse, no kind of naturalist at all. So, we must proceed with care when we raise the banner of naturalism. I do not say, ‘It depends upon what you mean by ‘natural’, but I do say that naturalism cuts the pie in many ways. 3:16: How does he deal with the notion of homonymy – why is it so important for his philosophy? CS: This point about naturalism serves as a welcome entry point to Aristotle’s obsession with homonymy. This is because in one way the point about ‘naturalism’ is little more than a lexical quibble. In another way, however, it is anything but. Much of the historiography of Aristotle written in the last century derives from some powerfully educated Germans of the late 19th and early 20th centuries, who inaugurated a never-ending series of questions about Aristotle’s development, much of which has turned on the question of his relationship to the head of the Academy he joined as a young man, Plato. In my view, productive though these questions have been, they have tended to focus too narrowly on Plato as a fulcrum around which his trajectory is defined, either as the teacher from whom he moved away (as ‘the foal who kicked his mother’, as Diogenes Laertius reports) or as the august philosopher whose power and subtlety he only began to appreciate as he emerged into philosophical maturity. and so for other core notions of interest to philosophers. Aristotle is sceptical that we can uncover such essence-specifying definitions for these notions by the studious application of our well-trained minds. His doubts, however, are not epistemic in origin. Instead, as he never tires of saying: ‘x is meant in many ways’ (x pollachôs legetai). By this he means among other things that there simply are no non-disjunctive essence-specifying definitions available for many of the concepts of interest to him and to Plato (and to us) in common. Nor is this due to his doubting the existence of essences; he is, on the contrary, the arch essentialist, the bête noire of anti-essentialists the world over. It is just that he thinks for a full range of cases, there are no non-disjunctive essences to be had. —This is consistent, of course, with his upholding a Platonic univocity assumption for other cases; one needs, then, to proceed on a case-by-case basis with him. So far, this is effectively a negative judgment, to the effect that Plato’s univocity assumption is false if understood in any unrestricted manner. Things become much more interesting when Aristotle brings a positive framework to the table. To see what this is, we may construct a sort of continuum between upholders of Platonic univocity at one end and Wittgensteinean family resemblances at the other. Of course, says the Wittgensteinean, there is no single essence to games. Our thinking otherwise earns us the excoriation of the Wittgenstein of the Blue Books as just another instance of our unwarranted ‘craving for generality’ where none is to be found. Socrates’ exercise regimen is healthy. Aristotle reasonably expects three things to be clear about these sentences. First, the predicate ‘. . . is healthy’ does not mean precisely the same thing in these four sentences. Second, the word ‘healthy’ is not in these applications a case of rank ambiguity, on par with ‘club’ as applied to places where young people gather to dance and to wooden batons used as weapons. Rather, the instances of ‘healthy’ are somehow connected with one another. This leads to the third and final suggestion of Aristotle, namely that the last three somehow depend upon and derive from the first. The third suggestion is developed into Aristotle’s notion of core-dependent homonymy. Health is homonymous in these applications simply because it is not univocal: there is no single non-disjucntive definition which captures them all equally. It is, however, core-dependent: an account of each of the last three depends in an asymmetric way on the account of the first. Thus, the predicate ‘. . . is healthy’ in the second sentence, as applied to complexions means more or less “is indicative of health" whereas in the first it means more or less “exhibits bodily soundness”. 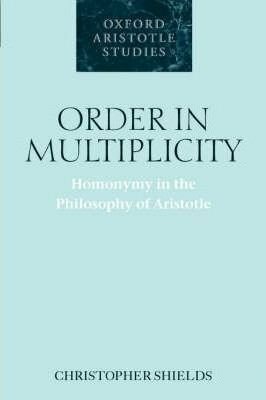 Aristotle also expects it to be clear, then, the first sense is core of the others, each of which depends upon that core for its explication: hence, core-dependent homonymy. To be sure, the case of the predicate ‘. . . is healthy’ is a bit pedestrian and so of little philosophical interest. That is precisely why, though, Aristotle uses it as an illustration. It provides a framework for a kind of order in multiplicity mid-way between family resemblance and univocity, one which, Aristotle urges, captures the order amidst the multiplicity of a wide range of philosophical concepts, including: cause, justice, life, unity, extending even to being itself. Of course, each of these claims can be challenged by a Platonist or a Wittgensteinean; so, Aristotle’s claims must be assessed on a case-by-case basis, and each is only as good as the arguments he offers, which must establish first negatively, against the Platonists in common with the Wittgensteineans, that the concept under analysis is non-univocal, and then second positively, against the Wittgensteineans, that there is never the less order beyond family resemblance to be recorded. We are not to take his word for it any more than we are to take Wittgenstein’s word that this or that notion is to be understood on the model of games. —Nor are we even to take Wittgenstein’s word that games are to be understood on the model of games. That is, for what it may be worth, I’ve been convinced by the delightful work of Bernard Suits in The Grasshopper: Games, Life, and Utopia that Wittgenstein is wrong to contend that games do not admit of a univocal definition. But that is perhaps by the bye. The crucial point in the present context is that Aristotle has rightly seen that there is a tertium quid between two extremes too often presumed to be exhaustive of the conceptual space. Often enough his contentions in this regard seem to me perfectly defensible. Other cases, including most crucially his claims about being, have struck me as much less persuasive. We will consider one case I regard as successful below. For the present, and at the risk of being an unregenerate homonymy proselytiser, the framework Aristotle adumbrates deserves a place at today’s methodological table. Thus, when I hear contemporary philosophers of mind saying and then repeating endlessly that consciousness is a ‘muttish’ concept, I think only that they have declared their defeat too soon; they have failed to engage the hard work that remains to undertaken when the first, negative judgment has been made. 3:16: He writes a lot about the relationship between soul and body and what they are. Can you sketch for us what he is arguing – and also what he often taken to be saying that you think is wrong? CS: To me, these are live questions. 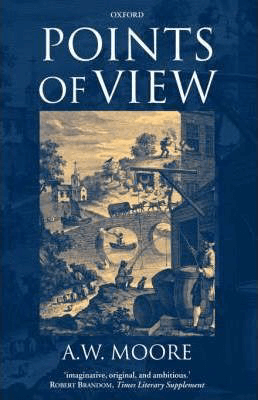 Should we accept hylomorophism in philosophy of mind? I am on board, but the version I favor turns out to be in one respect at least markedly unaristotelian. Let us, though, begin by addressing the question put. Aristotle’s hylomorphism regarding the soul is simply a direct application of his more general metaphysical hylomorphism three times over: to soul-body relations, to perception, and to thinking. Arguably, each extension strains his original hylomorphism, even almost to the breaking point. One can see Aristotle looking over both shoulders in offering this sort of claim; and he seems to be looking in opposing directions which individually continue to beckon some philosophers today. On the one hand, in thinking that there are souls, that souls exist in the first place, Aristotle means to be rejecting the view of the earlier natural philosophers, who range in various ways, imposing an anachronistic though not incorrect grid on their thoughts, from some form of reductivism to outright eliminativism about the mental. Plausibly at least some of the phusiologoi, the early writers in natural philosophers whose works Aristotle poured over, were eliminativsists, whereas others were reductivists, in the sense that they tried to identify the soul with this or that material element. Their views were, of course, empirically crude. Still, they shared an impulse indulged by physicalists down to the present day, namely that if mental states could be identified with the states of a (presumptively) more readily understood category of being, namely some one or some combination of the basic material elements, then we will be in a better explanatory state than we otherwise would have been. 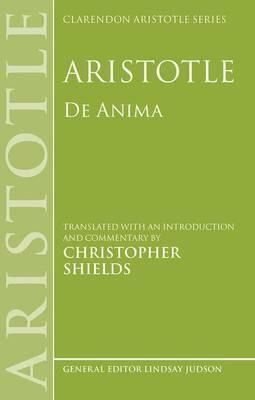 Aristotle’s devotes much of the first book of his De Animare countering the views of such thinkers. Heading in the other direction he means to reject the sorts of Platonic dualism one finds, for instance, in the Phaedo, where Socrates argues that the soul is separable from the body, that upon the death of his body, he will simply relocate to some vaguely indicated region. He is, he implies, his soul. Aristotle positions his soul-body hylomorphism as a middle way between reductivism and eliminativism on the one hand and Platonic dualism on the other. The question of how to assess this view parallels fairly closely the question of whether non-reductive materialism provides a satisfying alternative to the less compromising views at either extreme. 3:AM: What’s his approach to psychology – is it an approach that connects with contemporary work in philosophy of mind and psychology? CS: Various functionalists have understandably claimed Aristotle as their intellectual forbearer, though here it is less than obvious that their doing so redounds to Aristotle’s credit. Be that as it may, Aristotle’s hylomorphism certainly resonates with a fair number of contemporary theorists fleeing towards the centre from full-fledged dualism and outright eliminativism. Materialists of various stripes, both reductive and non-reductive, find in him a fellow traveller. One might think of this as the legacy of his phainomenological method: whether or not we are dualists, we ought to agree that the mental presents features not readily accommodated in an idiom scrubbed of the subjective, the perspectival, the qualitative, and the intentional; and whether or not we are materialists, we should not hasten to embrace eliminatavism, except, perhaps, as a last recourse. Aristotle’s hylomorphism, like some forms of non-reductive materialism, seeks to embrace the reality of the mental without sacrificing the plainly material character of human animals, as one kind of animal among others. Whether the middle way of hylomorphism succeeds in its aims is a matter of ongoing investigation. One instructive flashpoint concerns the causal role of the mental in a material world. Jaegwon Kim puts this issue nicely in the form of a heuristic dilemma: if we can establish reductionism about the mental, then we have secured a casual role for the mental—but have sacrificed, it seems, the very features which make the mental mental, namely the subjective and the phenomenal; if, however, we reject reduction, then we threaten the casual role of the mental—in which case we have preserved something not worth having, namely a mental economy which is permanently epiphenomenal. I’ve argued that hylomorphic mental causation provides a response to this sort of worry, namely the specification of the material subvenient base to which Kim appeals in structuring this sort of problem cannot so much as be specified without recourse to the mental features here thought to be at best supervenient upon them; the subvenient base thus has its individuation conditions parasitic upon mental. If that is right, then the picture undergirding this sort of dilemma, whereby there is a level given by the neural which is specifiable without already also considering it as mental is misguided. The hylomorphic response to the problem of mental causation in this respect has some things in common with anomolous monism, but differs in offering an immediate, and not merely extensional role to the mental in the causal world. The relevant material base here, to go back to Aristotle’s earlier idiom, is already lifeish—which is to say already typed as psychological and so unavailable to be characterized in a way such as to threaten the features of the mental which make them, as Kim rightly urges, mental in the first place. Needless to say, alert readers are already arming themselves with objections to this way of thinking. Certainly, they are not far to see. That, however, has more to do with the tangled set of issues we confront when we address the mental than with any role hylomorphism might play in coming to terms with them. For now it seems enough to suggest that hylomorphism offers a way forward, or at least a proposal for a way forward worthy of consideration. 3:16: Does the idea of organisms as used in biology stem from Aristotle and the ancient Greeks, and how does understanding the history of orgamisms in biology help us understand how best to use the concept today? Or is there no longer any real use for the idea any more despite the history? CS: Here too one might put in a plea for hylomorphism, but the story is more complex and indirect—and also, in a way, still more instructive. All was not lost for the organism, however. More recent researchers have come to contend that epigenetic factors do after all play a role in transmission, some for technical reasons and others by way of revisiting the presuppositions that lead to the demise of the organism in the first place. As a result, with the rise of Developmental Systems Theory in particular, researchers have come to show renewed interest in the organism as a unit of explanation. Attendant upon that interest followed the more or less inevitable question, one that had been common currency in the early twentieth century, pertaining to the matter of what it is that we should in the first instance understand an organism to be. One may say in a deflationary way that this, like other such terms, is simply to be regarded as theoretically defined. In my view, this is, however, at best only partly correct, not least because different practitioners find themselves jockeying with non-equivalent definitions of the same term even while working within one and the same theoretical structure. It is here that the Aristotelian tradition offers an interesting vantage point. This is not because Aristotle or his followers had somehow fathomed the nature of organisms as they would or should come to be understood by twenty-first century biologists and philosophers of biology. Quite the contrary: Aristotle’s contribution to this issue is, if anything, at first by way of contrast. That is, disputes today about the extension of ‘organism’ tend to assume even amidst disagreements that organisms are, in one way or another, autonomous living beings, beings which, even if symbiotic or parasitic, exhibit a sufficient degree of independence that they qualify as unities in their own rights. The issue then becomes a question of in virtue of what they are to be so regarded. Aristotle did not conceive of organisms in this way. Or, better, the things he regarded as organa (ὄργανα) were rather, tools, entities unified only in so far as they served some end beyond themselves. This is the sense of ‘organ’ which has rightly puzzled undergraduates introduced to Aristotle’s definition of the soul as ‘first actuality of an organic natural body’ (De Anima 412b). What does he mean in saying, they understandably wonder, in calling the body ‘organic’? However vague, ‘natural’ means at least something ascertainable. But ‘organic’? ‘Like it was grown by hippies in Oregon?' one pleasingly cheeky one asked me. He means, rather, that the soul is the principle of unity for a body suited to engage and discharge the functions of life: digestion, perception, and reasoning. A perceptual soul, if there are such things, could not be realized in a fourteen miles of railroad tracks: they are not the right tool for the job. Looked at this way, the body, according to Aristotle, is a tool organized around a series of interlocking ends; as such, it cannot be treated as a neutral vessel of some manner. It is a unity, and a unity organized around a function. Striking in this way of thinking is precisely the thought that an organon is not something autonomous or independent; its very unity derives from something the role it plays in a larger functional economy. The autonomous or basic thing, thinks Aristotle, is what he calls a ‘primary being’, now called for better or worse (worse, I would say, but never mind that for now) a substance. Somewhere along the line ‘organism’ detached from ‘organ’ and came to acquire roughly the meaning occupied by ‘primary being’ for Aristotle, though, when it did, it did not completely shed itself of its association with functional unity. —In fact, for those interested in words as words, as I am, the story of how is happened is fascinating: ‘organism’ seems to have entered the English language twice, once form Germanic languages and once from Old French, only to merge at some later stage, giving us the range of meanings we have. The OED duly records for organism the current ‘an individual animal, plant, or single-celled life form’ but also recounts earlier uses where reflecting no close connection with free-standing living systems. But, as I say, this is about words, not things. One sees this notion of functional unity reflected in various attempts to define organisms today, offered by philosophers of science and theoretically minded scientists alike. An especially telling example derives from those endeavoring to characterize organisms as ‘immunological centres'a term which might appeal twice over to friends of teleology in terms first of normativity implicit in the notion of being immune and then again in the norm-driven notion of being a ‘centre’, which is to say, a kind of unity. Here too, then, reflection on the nature of normativity and the suitability of the implicit appeals to teleological idioms in this approach appear not far beneath the surface; and then again perennial questions of unity and autonomy are not far to see. Needless to say, the question of whether organisms have any explanatory role to play in evolutionary biology is for biologists and not philosophers to determine. Still, in so far as we find ourselves grappling anew with the nature of organisms within the ongoing discussions about their role in biology, philosophers, and even philosophers of an Aristotelian cast, might yet fruitfully join the discussion. It doesn’t really do for a thoughtful person to say, ‘It depends what you mean by ‘organism’—not, any rate, if they mean by ‘mean’ that it is all a matter of unconstrained stipulation. 3:16: Life is a core-dependent homonym! This is a suggestion you make when looking at the dialectic of life. What does it mean to say this, and how does this help move on debates about how we should understand’ life’? CS: Here again one can all too readily find questions about the nature of life and living systems being met with a resigned shrug, ‘Well, it depends upon what you mean by ‘life’.’ I always find such responses dispiriting, at least when they come from intelligent people of good will and not from those merely hunkered down in some manner of reactionary defensive mode. It seems a council of despair. I am aware, of course, of the fairly widespread disenchantment with the search for definitions that currently prevails in the philosophical community, and indeed in the intellectual community generally. And Wittgenstein, one of the most forceful spokesmen (and certainly the most exotic) for the anti-definitional attitude, is famous for having singled out the attempt to define games as illustrating par excellencethe futility of attempting to define anything whatever. ‘Don’t say,’ Wittgenstein admonishes us, ‘“there must be something common or they would not be called ‘games’” —but look and see whether here is anything common to all.’ This is unexceptionable advice. Unfortunately, Wittgenstein himself did not follow it. He looked, to be sure, but because he had decided beforehand that games are indefinable, his look was fleeting, and he says very little. So I invite the reader to look at a longer and more penetrating looks at games. . . In the same way, it seems to me, many have taken a fleeting look at the bewildering and complex variety of data regarding life and living systems and have come away muttering the well-it-depends-upon-what-you-mean-by-‘life’ refrain. Can we do better? It would be hubristic to think we have succeeded, but it would be equally self-indulgent to declare defeat before we have given it a go. Here is one attempt, which stakes out a middle ground. In its baldest form, the question of the nature of living systems is this: what is the essence of life? As a first approach, one might begin by endeavouring todetermine the necessary and sufficient conditions for being alive. Here, already, motivated scepticism creeps in: many scientists and philosophers doubt that there is any such thing as an essence of life: after all, living systems are so variegated in their forms that there can hardly be a univocal account covering all cases, ranging, that is from extremophile archaea and other simple organisms uncovered in empirical investigation to the most complicated sorts of living systems we encounter in daily life and, perhaps, even beyond, if we are to countenance as possibilities the existence of alien life forms and of the god held by orthodox theists to be an immaterial living being. One needn’t be a theist to take this last possibility on board as a bit of modal data; after all, one can not theism without claiming that god is impossible. Itwould suffice to contend that though possible she does not in fact exist. Like the Easter Bunny. So, unless we are to be modally pre-emptory, we seem confronted with some additional data about living systems, namely that there could be non-material living beings. Only those who think that angles and their ilk are altogether impossible are at liberty simply to set this sort of modal datum aside. Same again for aliens, where we may simply allow the imagination to fly where it may. How should we think about this sort of (putative) data? Some will understandably have little patience for these sorts of speculations: life is a theoretically defined term, they will counter,and extends to human beings and other animals, to plants, whether cultivated or uncultivated, and finally to the many micro-organisms recognized by cell- and micro-biologists. No further. Othersare not so sure, regarding this is an attempt to delimit the possible extension of life without cause. These more catholic sorts are prepared to countenance a broader range of contenders, at least into the modal data to be taken on board. After all, they note, many people seem to suppose that angels exist as living beings, or at least that they could exist as a matter of logical possibility. In retort, the hardliners scoff, insisting that nothing lacking magnitude could be thought to metabolize, and given that metabolism is necessary to life, angels are worse than a fanciful fiction: they are positively incoherent. So the dialectic goes back and forth, jockeying not only about the nature of life, if it has a nature, but about the actual and the possible extension of the class of living beings. Even here we have disagreement: is, for instance, decent with modification necessary of life? Some think so; others respond by accusing those who insist upon this sort of condition as a necessary as guilty of a small sample problem. Why, after all, must we conclude that life must be as life is in our rather puny neighbourhood? The debate thus devolves into a predicable stalemate, with each side shrugging incredulously at the other. Without trying to appease all comers, one can note that these disagreements seem to turn on at least one shared presupposition, namely that some things are living and some things not. (Even this simple thought has been doubted for sensible reasons, but let us set that intriguing question aside for the moment. Let the thought for now be that when a baby is born it is living, but that the fountain pen used to record its birth in a ledger in not.) One can then look to the agreed cases in an effort to determine what if anything grounds agreement about at least the paradigmatic cases of living beings. This would then, as the advocate of core-dependent homonymy contends, provide a core of life, around which non-core cases revolve as satellites. From there, recall, the idea is that non-core instances stand in an asymmetric dependence relation on the core instance, so that, for instance, to say that his cheeks are healthy is to say that his cheeks indicate that the human whose cheeks they are is healthy, such that, then, the non-core definition would simply be: ‘. . . indicative of health.’ In this case the non-core instance requires a definition mentioning the core definition, whereas the core definition need make no reference whatsoever to the non-core definition. Carrying that over to the case of living systems, the suggestion is that one will find that all living systems admit of definitions which either are at the core of life or are suitably dependent upon it, which is to say that no account of a living system would be possible without referring back to the core notion. The virtues of this account seem to me three. First, it is sensitive to all the modal data, allowing into consideration the possibility, for instance—a possibility I myself regard as bona fide—that we will soon be in a position to create living systems in the laboratory. I regard contentions to the contrary, at least those claiming that such a scenario is simply impossible, as wildly parochial. Second, it treats life as scalar: it is understandable that opinions divide as to whether, for instance, acellular viruses are alive. From the vantage point of core-dependent homonymy, this is as it should be, because such viruses are fairly far removed from the core cases of living beings. After all, they do not metabolize, a trait some regard as necessary for life but others regard as disqualifying the angels from even modal consideration. Stepping back a bit, those who thought an account of life needed to draw a sharp line between the living and the non-living presupposed something core-dependent homonymy rightly rejects. So, for instance,being healthyis scalar, and yet some things are healthy and some not. So too with living systems. This is exactly as the account of life as a core-dependent homonym predicts. Finally, third, when we think about the various criteria which spontaneously arise in discussions about the nature of living systems, we can discern, if we accept the proposal mooted, a kind of unity in multiplicity which otherwise escapes us. The multiplicity is reflected in the criteria one sees proposed in these discussions: metabolism, growth and reproduction; self-organization and homeostasis; an ability to decrease internal entropy by the appropriation of free energy; stimulus response suited to self-preservation and propagation; and adaptation. What unites these criteria is that they all appeal, some explicitly and others rather more implicitly, to some notion of teleonomic systematicity. More needs to be said here, of course, but we may close with thee parting observations. First, it will be noticed that the notion of teleonomicitycries out for articulation. Roughly, a system is teleonomic if it is a system the subsystems and subprocesses of which are unified by reference to an end state to which they all contribute and against which predictions about the co-ordination of their activities may be successfully articulated. Some will perhaps bristle at the normativity implicit in this notion, running as it does counter to the widespread animadversions against appeals to norms in nature. For me, an embrace of normativity in this domain is no less welcome than unavoidable, since a system is a living system only if one can sensible ask this of it the following ineliminably normative question: is it flourishing? That said, so far nothing has been decided about the source of the norm in question. I myself am content to regard the norm given by teleonomicity as a mind- and language-independent feature of living systems as such. Those made uncomfortable by this kind of unapologetic value realism may yet, if otherwise tempted by the account offered, accept core-dependent homonymy simply by treating the relevant norms in projectivist or instrumentalist terms. As stated, at any rate, the account does not presuppose value realism. As I say, I would not myself recommend looking at living systems in instrumentalist terms, but this sort of question is really subordinate to a larger question in axiology about which we may at this juncture remain silent. Finally, third, to some extent one can back away from the analysis offered to make a more formal observation, namely that the account of living systems here offered may be regarded as illustrating, successfully or not, a more general methodological point. This is that there is a wrongly neglected space for analysis lying between univocity and family resemblance. When philosophers fail to produce the essence-specifying accounts they seek, they need not turn to family resemblance, or worse, to quietism. It might turn out that their failure turned rather on their seeking univocal definitions where none were to be had; they were seeking more uniformity than the analysandacould offer up. That there is such space is clear; whether it is occupied by life is another matter. Appeals to core-dependent must be adjudicated on a case by case basis. Strikingly, Aristotle himself thought that it extended even to being. I doubt he is right about that, but the sort of discussion leads us into other, more abstruse terrain. For now, then, have before us one more modest proposal: life is a core-dependent homonym. 3:16: And finally, are there five books you can recommend to the readers here at 3:AM that will take us further into your philosophical world? This list is self-indulgent in that it does not attempt to track the greatest books in philosophy that I’ve read. Instead, I mention five books that at various points in my philosophical development served to re-orient what I thought was possible in philosophy. 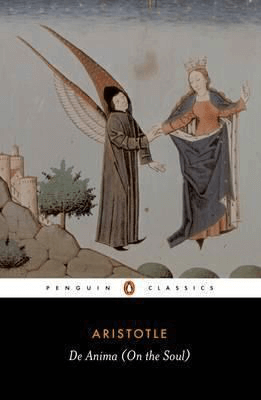 I wrote a commentary on De Anima and learned in the process of doing so that an assiduous scholar had compiled a bibliography of 800 previously written commentaries on the same work. That made my task all the more daunting, but was also in a way liberating; in was, in any event, an honor to be able to contribute the 801st. It is a work one can return to again and again and come away impressed, if also not a little perplexed in the best possible way. This one may be cheating somewhat, since there are 54 disputations in total, many of them individually as long as what passes for a philosophical monograph these days. Deep, synoptic, and endlessly resourceful. So stunningly better than much of the philosophy published after it which has come to be regarded as canonical. I am not sure why that happened. Pity, though. I am not a Kantian in any area of philosophy, but when I studied the Critique of Pure Reason as a graduate I came to appreciate that Kant showed us a powerful new way of engaging philosophical problems. This book made me understand how philosophically gripping original philosophy conducted in that general vein could be. I recall reading the first chapter of this work on the train on the way into Oxford one morning and saying to my son as we pulled into the station, ‘For the first time in a long while I am reading philosophy.’ Later that same day I recounted that anecdote to a colleague at high table—but then saw, because we were in Oxford, that I needed to assure him that my remark was intended as a compliment. 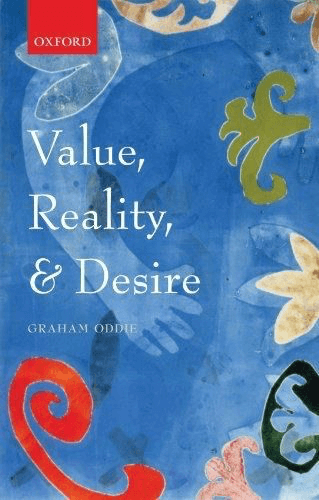 An extended, technically elegant argument for value realism, and one which makes child’s play of much of twentieth century Anglo-American axiology. We all have books that we think are sadly neglected by those who could most benefit by giving them the attention they merit. This is mine. If you don’t recognize that this is a work of philosophy, probably we don’t have a lot in common. Then again, it is understandable that you might be confused on this score, because philosophy is rarely so beautiful.